Literature related to srIvaishNava sath sampradhAyam. srI rangam is the residing place for all srI vaishnavAs. They may come from anywhere but this divya dEsam is the meeting point of all srI vaishnavas. All AzhwArs and AcharyAs from thondai nAdu went there. It is denoted as “ thennAdum vadanAdum thozha ninra thirunagaram”. thennAdu represents tamizh vEdam and vadanAdu represents samskritham. srI rangam is glorified by both. namperumAl is described as the one who wears a beautiful gem-set garland and a necklace of pearls on his dark frame. thiruppAnAzhwAr says that His matchless beauty had stolen AzhwAr’s heart! AzhwAr’s heart had left him and went behind perumAl. AzhwAr himself states this in thirunedunthAndagam as “seyvalavil en manamum kannum Odi emperumAn thiruvadikkIzh Anaya”. Thus AzhwAr was staying in srI rangam and was doing mangalAsAsanam to namperumAl on one hand and also kAyika kaingkaryam like building the temple tower and the walls. bhattar refers in this slOkam to the kaingkaryams done by AzhwAr to build the tall ramparts (protective walls) and mandapams and sannidhis at srIrangam with the funds raised by the melting of the golden statue of buddhA from thiru nAgai. Thus AzhwAr had converted the a-vaidhika stuff to vaidhika by spending them on namperumAl kaingkaryam. AzhwAr refers to himself as " irunthamizh nURpulavan mangaiyALan" . " irunthamizh nUl" or drAvida vEdam is thiruvAimozhi. A slOka from parAnkusa ashtakam is a pramAnam for this . which means “ I worship that nammAzhwAr who gave the vEdAs in drAvida bhAsha”. A special point to note in madal is that it has rhyming words like kArAr, sIrAr, ErAr etc. Thamizh researchers have said that madal poems have been written even before AzhwAr but this type was first written by AzhwAr. 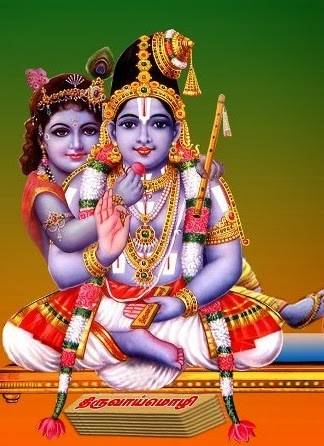 thiruvAimozhi has shabdha raSam ie. the words of thiruvAimozhi are beautiful, arththa raSam , the meaning and bhAvaraSam , the bhAvam or the feel of it is beauty. More than all these, the music of thiruvAimozhi is the best. madhurakavi AzhwAr states this as “pAvin innisai”. AzhwAr got "anthamil pErinpam" at the end of thiruvAimozhi . So thirumangaiAzhwar was reciting this thiruvAimozhi and continued. Let us continue in the next post. For questions/comments/feedback, please contact sudharshanparakalan@gmail.com. 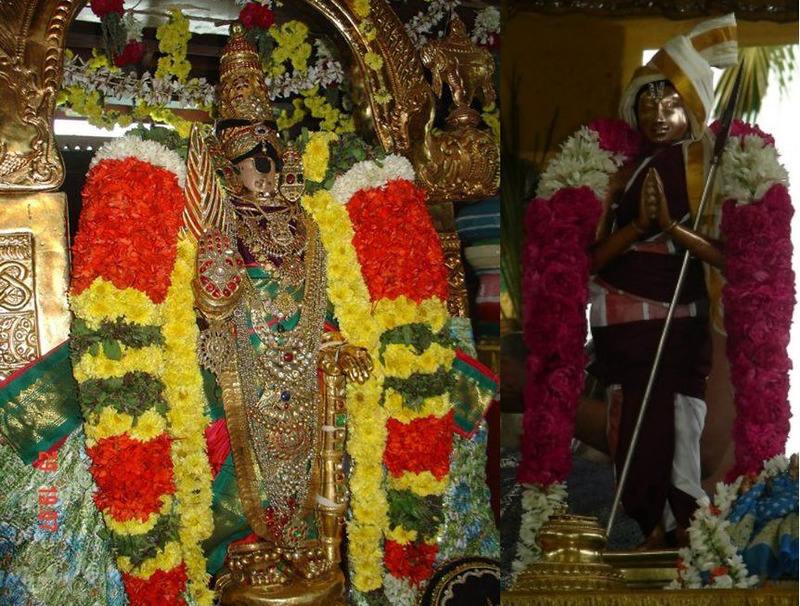 New blog for Literatures related to srI vaishnava sampradhAyam.